Emerald earrings make classic and timeless pieces of jewelry that can make you stand out in a sea of diamonds. Legends have it that the sought-after Holy Grail had been made from emeralds. 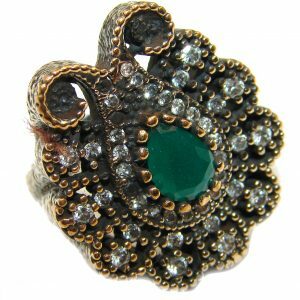 Additionally, many people believe that emeralds in general protect their wearers against succumbing to infidelity? These are only a few of several interesting facts about emeralds. Emeralds remind us of the bright, fresh green color of spring, which make these gemstones a fitting representative of that season. 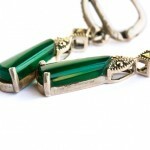 If you were born in May, emerald is your gemstone. And since Mother Day’s is celebrated in May, what better gift can you give the woman who gave birth to you than a pair of emerald green earrings? Then again, how do you know which kind of emerald to buy? Not all jewelers will have good quality emeralds and if you aren’t familiar with how emeralds are graded, you can get pretty confused by the methods and jargon used by gemologists for rating these exotic gemstones. Natural emeralds, like diamonds, have four important features that are assessed for them to be considered of exceptional qualities and high value: clarity, brilliancy, size, and color. 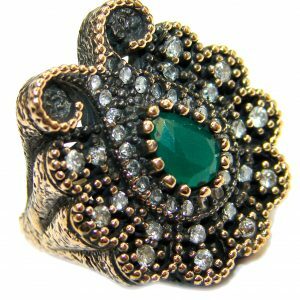 Most gemologists agree that an emerald’s color plays a big role in establishing the gemstone’s value. Color is further categorized into saturation, tonal grade, and hue. This last refers to the exact kind of color an emerald has and gives the gemstone its name. Emeralds from Colombia, for instance, are bluish green in color and are called “canutillos,” the Colombian miner’s term for excellent quality emeralds. The best natural emerald earrings would come from the world’s greatest source for this green gemstone: the South American country of Colombia. 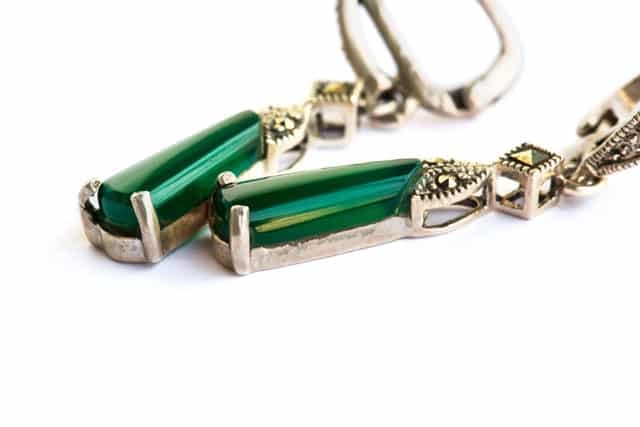 With brilliant shine and a deep green color, emeralds from Colombia have been mined from antiquity and were prized among royalty of the once mighty empire of the ancient Incas. Gem experts worldwide consider this country the only source for emeralds of outstanding quality. 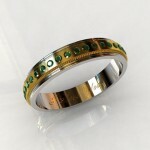 The tonal grade of an emerald establishes the degree of either the lightness or the darkness of the gem’s green color. Natural emeralds have a wide array of various green tones from very light to very dark and those that are in-between such as medium dark, light, medium, and medium light. Most emeralds have tonal grades that can go from medium to a very dark tone. 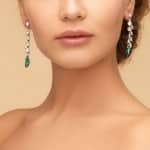 Color, however, is should not be the overriding factor when purchasing genuine emerald earrings because saturation should also be considered. Saturation is a particular color’s intensity that can range from a dull green hue to one that is pure and vivid. This is the reason why some dark green-colored emeralds appear “flat” which does not look appealing at all. 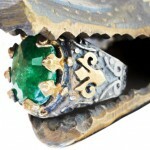 The most expensive emerald will have high saturation and a medium to medium dark tonal grade. 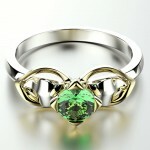 This does not mean, however, that emeralds which have a lower saturation or less green color will not be satisfactory. Some light green-colored emeralds, in fact, with “good” for a saturation rating get a lot more attention than the vividly green ones in the display cases. 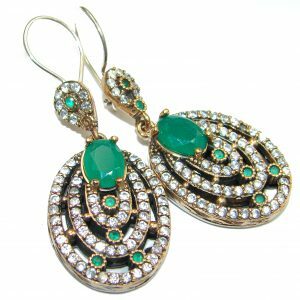 Real emerald earrings will have clarity which tells you what the gemstone looks like from the inside. Most emeralds (around 99%) have inclusions – gas, small pieces of several other minerals, crystals, and liquid – that they have taken on during their crystallization process and which can be seen even without a microscope or a loupe, the small, one-eyed magnification device a jeweler uses to see small details up close. These inclusions may be imperfections or flaws in emeralds but, unlike topazes and diamonds, they are also considered totally natural for them to have. The GIA (Geological Institute of America) categorizes clarity in gemstones, including emeralds, to be in three types. Type I is nearly free from inclusions like citrine, topaz, green tourmaline, and aquamarine. 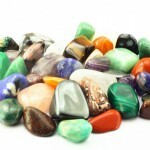 Type II includes sapphire, peridots, spinels, rubies, garnets, and amethysts. 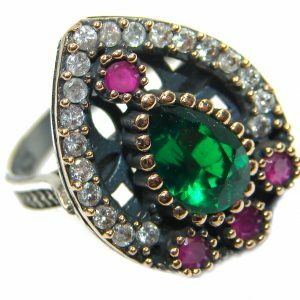 Gemstones of Type III are red tourmalines and emeralds, to name a couple of them. The price of emerald earrings for sale is only affected when the gemstone no longer looks like a crystal due to the excessive number of inclusions or it has become difficult to see the emerald’s back part, or the pavilion, for facets. 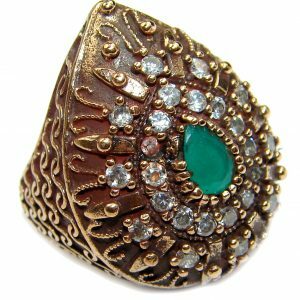 With an excess of inclusions in emeralds earrings and other forms of jewelry which these gemstones may take such as bracelets or rings, the value of the gemstone is lessened and its durability is compromised. Inclusions close to an emerald’s surface, for instance, create several fractures that can easily break the gemstone apart with repeated instances of motion. The good news in emerald inclusions: durability is assured if these are found only in the center and relatively far from any of its corners and surface. Good emerald cutters have the skill to isolate an emerald’s inclusion and good jewelry setters will create a design which can protect the gemstone even under the toughest conditions. Yes, emeralds can be fragile but not so much if their cutter and jewelry setter are highly skilled. 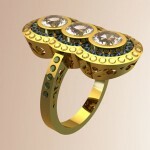 The equivalent of a carat is 0.20 grams in weight and is synonymous for size in the jewelry industry. “Carat” and “karat,” however, have totally different meanings. “Karat” is the measurement of gold’s purity – 14k, 18k, and 24k – and has absolutely nothing to do with the weight and size of a gemstone. “Carat” is a gemstone’s weight and the more it increases, the more expensive it becomes. An emerald is priced per carat; this is done by dividing the gemstone’s price by its weight. Larger emeralds, on the other hand, are much rarer than their smaller cousins and, as such, a three-carat emerald earring will be more expensive than three, one-carat earrings of similar quality. 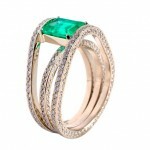 The bigger an emerald, the “louder” it speaks, albeit some jewelers consider color more important than size. 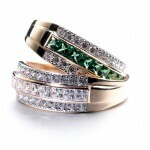 The “magic” of emeralds happens when you get them big in great quality. This really happens rarely, the reason the price of emerald earrings, bracelets, necklaces or rings do not change in the incremental linear scale. A three- or four-carat emerald is beautiful, no matter the quality. It doesn’t matter if one emerald “feature” is not present in your gemstone for as long as you enjoy it.